Data security is critical for any business that handles confidential information – customer credit card, private medical files, sensitive demographic information, or banking account numbers, are just a few examples. You've probably taken measures to protect your networks, servers, and computers. However, I bet you haven't given much thought to the security of your networked printer or copier. You need to. Anything connected to the Internet can be hacked – hackers have gained entry to networks via Teddy Bears and thermometers. If you're printing sensitive documents on multifunction, Web-enabled laser printers and copiers, this could provide an easy point of entry for hackers. It's an obvious threat, but often overlooked. Documents left on the printer present a obvious security threat, as anyone walking by the printer can pick up a document, scan sensitive information, or take photos on a cell phone. If your printer settings and controls aren't secure, you're risking a security breach. Printer and copier jobs can be changed or re-routed, saved copies of documents can be accessed and redistributed, or the printer could be reset to factory settings, costing your business time and money dealing with the lost settings and files. If your printer has an internal drive, it can store any job that it processes. If you discard the printer or sell it, or if someone steals it, any documents still saved could be recovered. It's critically important to erase stored data at important junctions. In fact, a few years ago 60 Minutes discovered patient information on a company's decommissioned copiers (a clear HIPAA violation). Watch the report in the video. Did you know that if a hacker gains access to your network, they can capture documents sent from your computers to your printer? If you have older model printers that lack security features or aren't password-protected, it's even easier for a hacker to gain access. The list doesn't end there. If your devices are Web-enabled, hackers can take over the systems to re-arrange or create new jobs, change settings, and more. Distributed denial-of-service attacks can busy up your printer, knocking it offline and unavailable for office use. Malware can even be installed on printer software, allowing for total remote control. Don't think this is a legitimate issue? HP created a short series called “The Wolf” starring Christian Slater to illustrate how insecure office copiers and printers can be. Watch the first one below. The first step is understanding that you need to include your network-connected copiers and printers in your overall security strategy. Once you know that, the security measures are relatively straightforward. Below are some tips for securing the printers and copiers you already own and devices you may soon add to your print fleet. Where you place your printers makes a difference. Consider moving common printers to highly trafficked areas. While this may seem counter-intuitive, it can deter nefarious behavior. We recommend designating a printer for management and other sensitive departments and placing it in a secure area that requires a badge, key, or other secure access method. As an added measure, you may want to buy copiers that require users to provide identification before the machine will print, scan, or copy. Common forms of authentication include keying in a unique PIN code, ID cards, and even biometric recognition, such as fingerprint readers. Not all printer and copier models accommodate all authentication methodologies, so talk with your Coordinated contact to determine the right method for your company. Allow print jobs to be released by users at the device. This prevents documents from being exposed in the output trays as jobs are released to print when users authenticates themselves at the device. For any devices that allow mobile printing via Wi-Fi, make sure that all mobile devices are secure on the network. Many of today's printers and copiers have to ability to password-protect the control panel to prevent anyone from changing the settings. Refer to your owner's manual to learn how to do this. If you purchased a printer from Coordinated Business Systems, give us a call and we will be happy to walk you through setting up a password for your printer. If hackers are determined to breach your network, a password won't stop them. Encrypting your connection when you access the admin control panel (if your printer supports it) adds an additional layer of security. For example, when accessing the control panel from a web browser, use https://, which uses an SSL encryption, instead of the standard http:// connection. For command-line access, use encrypted SSH versus clear-text Telnet sessions. The folks at PC World have more ideas for encrypting your printer traffic. If you're not sure if your copiers and printers support encryption, check your user's manual (Coordinated customers can, of course, contact us). It's not only a good idea to encrypt data during transmission, but also while it's at rest. For the most confidential types of information, encrypting the device's hard drive adds an additional layer of security. Get in the habit of clearing the device's cache memory regularly. Ongoing data breaches at major corporations continue to raise awareness about information security. 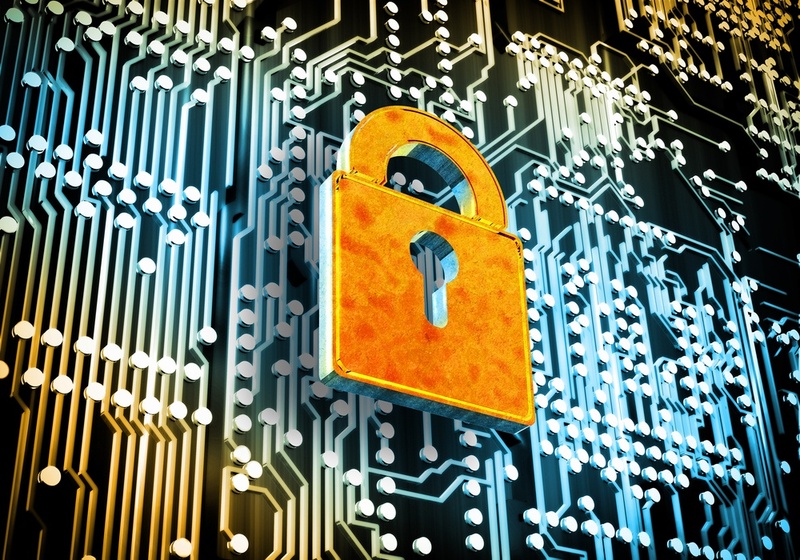 Now's the time to take extra measures to ensure your company and client data is safe. Coordinated Business Systems has 30 years of experience delivering enterprise printer services and copier services. We offer a comprehensive selection of technologies from global brands like Kyocera, HP, Sharp, and more. Every one of these manufacturers takes security seriously. If you have questions about printer security or upgrading your printers to more secure models, we're here to help.